Navigating life after your spouse has passed can be one of the most challenging, emotionally taxing, and uncomfortable times in your life. All of this may be magnified if you and your spouse did not have an estate plan in place. The existence of an estate plan can provide the surviving spouse comfort and ease of mind in this unfortunate situation. An estate plan is a useful planning tool that goes further than just creating a last will and testament. There are many different components of an estate plan, including a living will, durable power of attorney, trust agreements, pre-need guardian designation, and other legal documents, each of which may be tailored to fit your individual estate planning needs. As estate planning attorneys, we know how important it is to be on the same page as your spouse when preparing your legal documents. That is why we want to share with you a reason why you need to start the conversation of creating an estate plan with your spouse early. Imagine if your spouse passes away suddenly and unexpectedly. You ask yourself, what happens now? 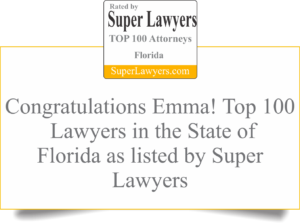 If you have a fully executed Florida estate plan, there is no need to worry. The matter is already resolved. Through your estate plan, the legal specifics have already been allocated, including who has decision-making authority, who has access to accounts, and whether any money is set aside for your children’s health, maintenance, and education if you choose to eventually remarry. If you do not have an estate plan in place, however, you may find yourself in a period of uncertainty. Questions may arise on whether there are pre-existing legal documents, any designated beneficiaries, and if you, as the surviving spouse, will receive all finances and assets. These documents are too complicated and important to create without the guidance of an experience estate planning attorney. He or she may be able to provide advice on working through points of disagreement between you and your spouse, present all of the available planning options to you, and most importantly, ensure each of your legal documents are executed in accordance with state law. We know this can be a challenging conversation to have. If this article raises more questions than it answers, do not hesitate to ask us your questions. We are the estate planning attorneys here to help you.